Human beings, animals and even plants have been the main focus of scientists who have tried to ascribe Coded Patterns to their behaviours, tastes and disorders. Every activity was coded, categorized and identified under some kind of title. However, many phenomena that could not be captured and framed under a certain name remained a mystery. What you are about to hear is a journey to the UN Coded Patterns of musical experimentation: where high technology, abnormal production and new age grooves meet to create an amalgamation of creativity and magic. 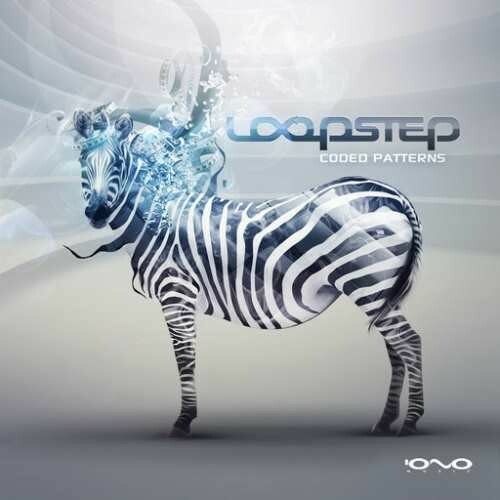 Loopstep began to realise they need a special laboratory where they can produce un Coded Patterns after a few Life Moments that have changed their life. They searched for inspiration at the Cloud and Field, trying to unite atmospheric components and earthly stomping vibrations into one formula. Therefore, they saw the need to alter Progenitor's, aka Marios Seraidaris and Nick Karamalakis, Ultimate Trip and stretch the boundary in order to see how ultimate can it really go. This aspiration leads them to Aquatica, to the deep realms of the ocean where they could then perform the act of Spreading Envelopes. Naturally, these are not ordinary envelops, but rather new techniques to spread Liquid Control. These usually invoke LFO Memory which ultimately changes a person's perception of reality. It manages to penetrate even un Authorized Access zones where the deep secrets of the mind reside. At the end of the current experiment it might be Looking Class disorientation that means that whatever you thought about society has dramatically changed. But isn't this what a good exploration for?